Christianne Sayers is an active campaigner for the NHS, education and the environment, and against austerity. She also campaigned against the Iraq war. She ran in the local elections in 2016 and sees this General Election as a real opportunity to offer an alternate voice in what is a crucial time in local, national and international politics. Christianne is a ﬁrm believer in real democracy through Proportional Representation; a cleaner, brighter future through investment in renewable energies and public transport; free education and healthcare for all; fair wages in a fair economy. As a teacher in a local secondary school she understands ﬁrst-hand the importance of giving the next generation the best possible future through renewable living, quality education and a say in the country’s international future. Christianne is determined to ensure that she will work for the common good. 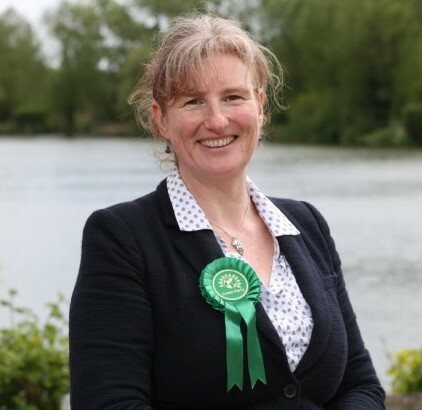 Published and promoted by Judy Maciejowska for Welwyn Hatfield Green Party, both at The Biscuit Factory, Unit 215 J Block, 100 Clements Road, London, SE16 4DG.